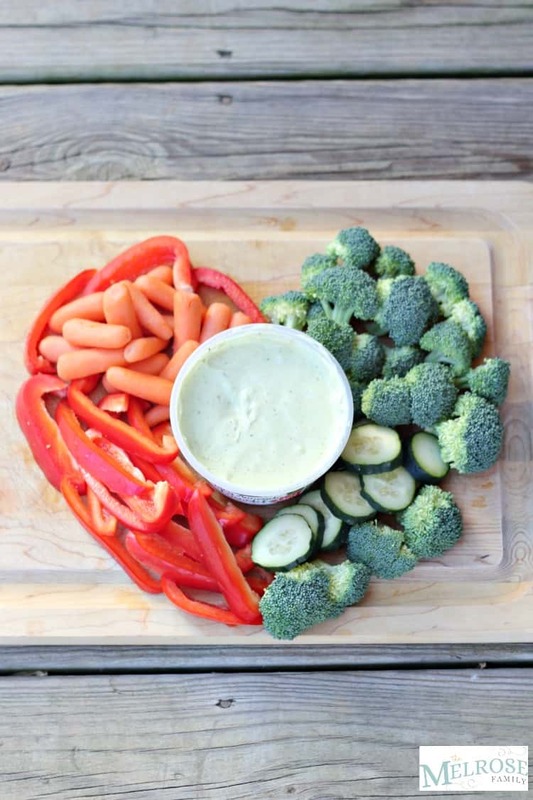 There is no denying that we love our vegetables. 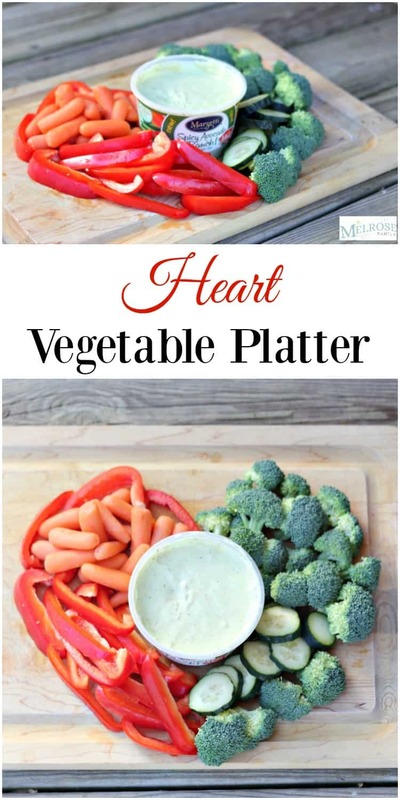 We especially love them when we can dip them in Marzetti® Veggie Dip, which is why this Heart Vegetable Platter is such a huge hit for any occasion. With the holidays past us, I am looking for quick and easier ways to create the perfect snack idea or appetizer for company. 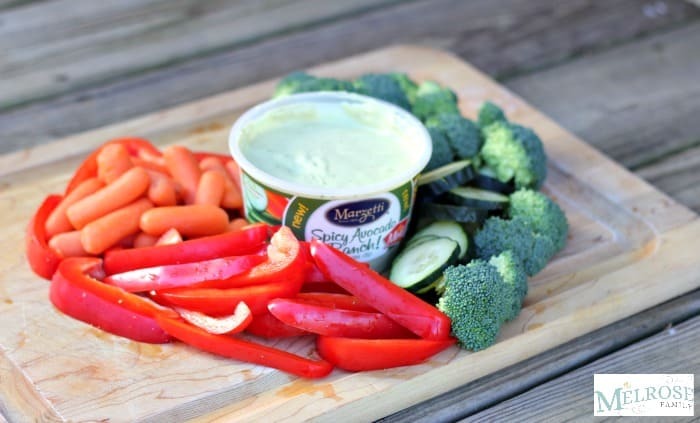 My girls love fresh broccoli, cucumbers, carrots and red peppers dipped in Marzetti® Veggie Dip. In the past we’ve tried the Ranch as well as the Southwest Ranch flavor, but the Spicy Avocado Ranch is now our new family favorite. The flavor is the perfect way to enhance the freshness and goodness of our vegetables. All while being rich and creamy. It’s the perfect combination. Plus, my girls loved the heart shape and it was so easy to create that they were even able to help. We used the red peppers and broccoli florets as the outline to the heart and then just filled in with carrots and cucumbers. So easy and super cute! 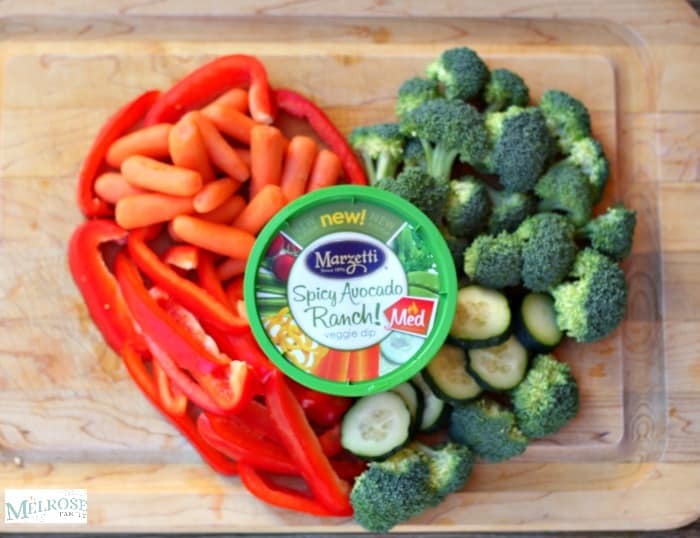 Learn more about Marzetti® Veggie Dip on their Facebook, YouTube, and Pinterest pages.